Take one tomato, cut into 2 pieces. Scoop them very well. 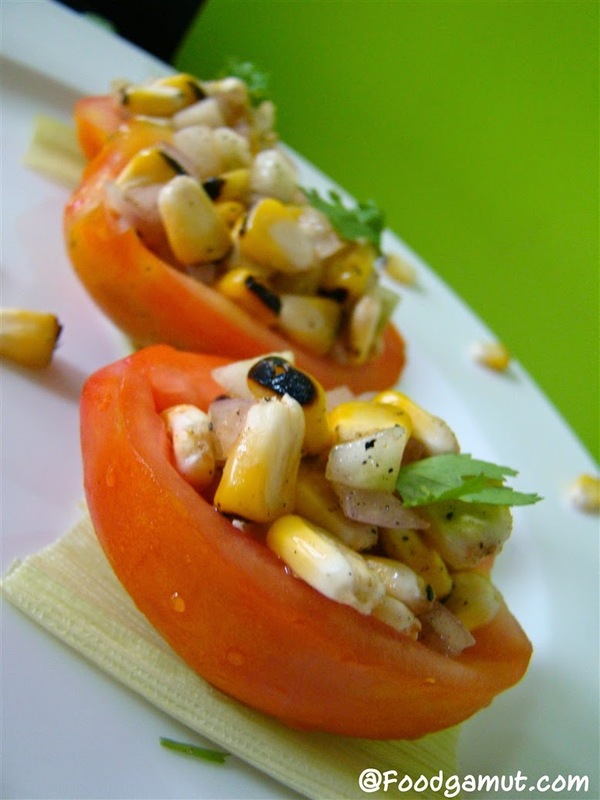 Take one bowl, mix roasted corn, onion, cucumber, pepper powder, salt, chaat masala, tomato catchup, lemon juice well. Take one tamato cup, stuff 1 or 2 tablespoons corn mixture.